As you known that, MovieBox and ShowBox were suffered from major outage problem last year and we had get the news regarding both the apps that, the service is no more. Users were shocked after getting the app has been shutdown officially. 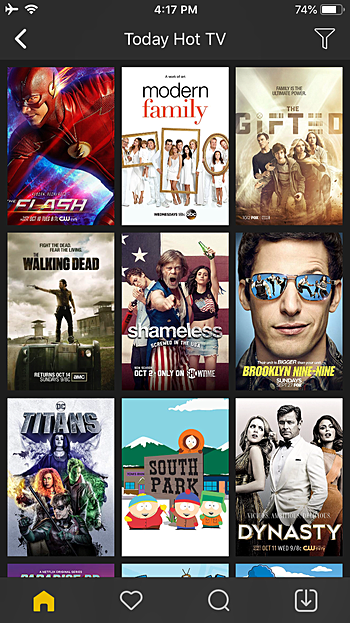 Since, ShowBox was back up after a week. Since then, MovieBox users have been searching for good alternative as best replacement of this app. However, we have researched on the matter deeply and finally we get that, MovieBox Pro ever since MovieBox shutdown. We all have some questions regarding MovieBox Pro, what are the features of apps? And what is its compatibility with devices like Apple TV? Let’s take have a look here. You can use the app for free, but you need to deal with ads (advertisements) in that case. MovieBox Pro has VIP mode features which offer HD, FHD and 360 quality options. It is ad free. Here, MovieBox Pro developer explains about special certificate on iOS. How to get Free MovieBox Pro VIP access on iOS? Yes, MovieBox Pro VIP Mode for free is possible. @DinoD7 and @Aladdin_Cracks are developing the crack version of this app and @AppValley_vip is hosting the cracked version. Let’s take have a look their tweets and videos which describes how to get apps as well as VIP mode for free. Guess what? MovieBoxPro Crack is BACK! Thanks to our iOS developer @Aladdin_Cracks for always doing his best. Give him a follow. We are seeing that not all the users have reported success with the installation’ steps which has described in video tutorial. Let’s take have a look at some reports here. Whenever I try to watch anything it says “no source” what do I do? When I try to click a show I’m watching I can’t press it because it says “play to often please try again later” what do I do?? Since,@DinoD7 has acknowledged the issue and he reply via tweets here. Yeh, Can confirm all movies (server) is down, Thought it could be a patch but I was watching Suits so tv shows look to be working. I’ll keep an eye on it. Aside from AppValley, MovieBox Pro is now available through cokernutx which describes itself as wonderful App intaller and Jailbreak Alternative for iOS devices. Cokernutx’s team says, Google account is required, if you want VIP mode. Here, what the official MovieBox Pro website says. What do you think about MovieBox Pro app crack version? You can share your thought on the comment box given below.